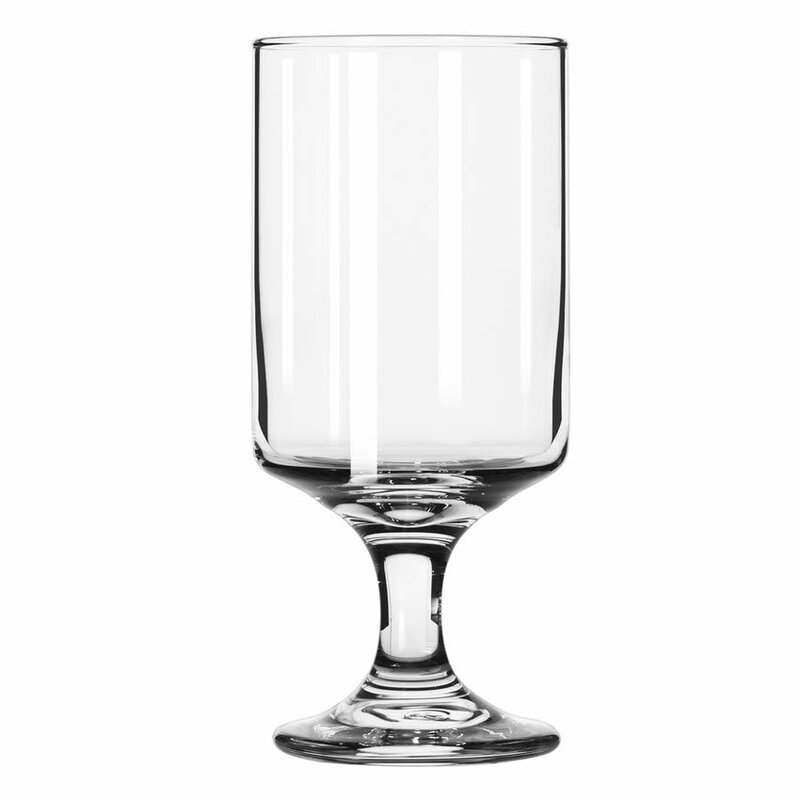 The Libbey 3556 goblet from the Lexington series features a modern glass design, with straight sides that unite with an attractively curved stem and sturdy foot. The 11-ounce capacity will help you serve generous portions of red or white wine, but this glass goblet is also versatile enough to be used an attractive water glass. 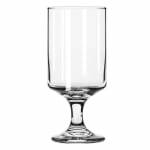 The Libbey 3556 goblet is covered by the Safedge rim and foot guarantee, which is a lifetime warranty regarding any chipping on the rim and foot of the glass that may occur during normal commercial use; however, it does not guarantee against breakage. Overall Dimensions: 61⁄4 in. H x 27⁄8 in. max dia. x 27⁄8 in. top dia. x 25⁄8 in. bottom dia.